Edinburgh’s Retro Video Club will play their biggest gig to date as they support Bastille at Edinburgh’s Summer Sessions. Following on from a massive show at The Liquid Room in February, Retro Video Club will take to Edinburgh’s Princes Street Gardens with Bastille and The Vaccines on 9th August. We caught up with Liam from the band to chat about the gig and future plans for the band. Alive & Amplified – Hi, Retro Video Club. For people who don’t know about you guys tell us a bit about Retro Video Club. 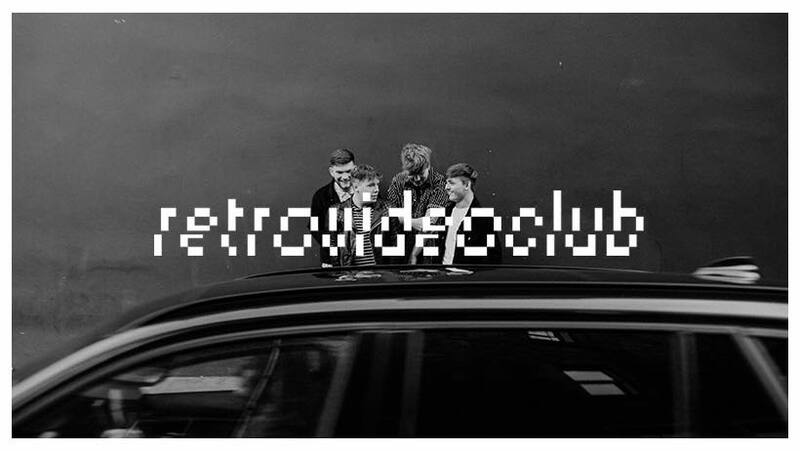 Retro Video Club – We’re a no-frills, guitar band from Edinburgh. A&A – You are playing the Edinburgh Summer Sessions in Edinburgh supporting Bastille. How excited are you to be playing such a massive gig in your hometown? RVC – It’s a massive honour for us. The fact that we’ve been able to play bigger and bigger venues is something we don’t take for granted, and to be able to add Princes Street Gardens, underneath the Castle, to that list is a bit surreal. A&A – You are used to massive shows in Edinburgh though having played The Liquid Room in February. How does it feel to have such a great support in Edinburgh? RVC – We can’t thank the people in Edinburgh enough to be honest. Edinburgh has been notorious over the years for not having a ‘scene’, but there are some really good bands here. I think the problem is people are pretty fickle and it’s difficult to get people to come to shows with so much competition of other things going on, that’s just the way Edinburgh is. Although we’re grateful we’ve managed to maintain the following we’ve built up. A&A – You have a few releases online, including most recent single ‘Chemistry’. Tell us about that single and what is planned for future releases? RVC – Yeah, Chemistry’s done really well for us, and I’m glad people can relate to that song. It’s really just about having some kind of weird connection with someone that you can’t really quantify, I guess you meet people in life like that though that make a lasting impression on you. We’ll have another release out in due time, as with all our songs we just try and express the universal drama’s that go on in peoples lives, I think that way it means a lot more when people sing it back to you, almost like you’re the method of expressing their experiences. A&A – As well as the Summer Session you have played Belladrum and are playing Party At The Palace. How much do you enjoy festival gigs and do you prefer them to traditional shows? RVC – To be honest, we’re really just treading the boards with regards to festival shows! We like the atmosphere at a festival cause everyone’s there to have a good time, and you get the chance to play to people who otherwise might not have given you a listen. A&A – After The Summer Sessions what are the plans for the rest of the summer and 2018? RVC – We have announcements incoming, and music coming out soon, so keep your eyes peeled for those. A&A – Who are your biggest influences? RVC – We all listen to a bit of everything really, I think one of the things about this band is you can tell all the major influences, or at least I like to think you can! For me, it’d be Green Day, The Strokes, The Enemy, just straight up guitar bands. A&A – If you could describe Retro Video Club with one song what would it be?